Update, September 25: As it turns out, that European Commission report found that piracy actually increased the number of legitimate sales of videogames. A European Commission report on the effect of piracy on the legitimate sales of films, TV, books, music, and games has found that, eventually, piracy serves to increase the number of copies that games sell. It was also revealed that despite costing taxpayers nearly €400,000, the publishing of the report, which was completed in May 2015, was delayed for more than two years. The delay was highlighted by Julia Reda MEP, a representative from Pirate Party UK, a political party that focuses on a desire to ensure the preservation of knowledge-sharing, something it sees as the foundation of global society. The reason for the 300-page report’s existence is outlined at the beginning of the document. There, it says that “the extent to which digital consumption of pirated materials displaces legitimate purchases is of fundamental importance for EU copyright policy design.” It’s worth noting that the methods attached to the report are related solely to EU sales and EU piracy, so the findings are not necessarily true of other regions. 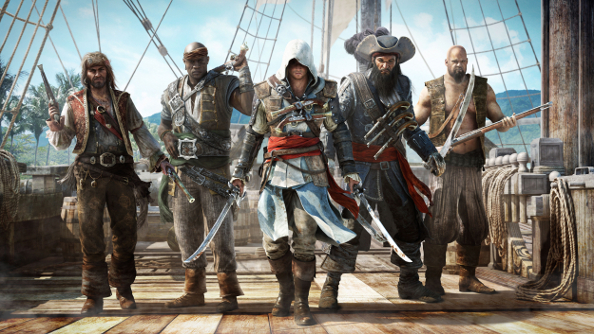 Interestingly, the study did find that for games, as well as music and books, the likelihood of piracy was not actually based on price, but on “willingness to pay.” That means that an increase in price is unlikely to make someone more likely to pirate a game – if they want to pay, they will, and if they don’t, they might pirate it instead. Overall, however, the findings were that an increase in piracy didn’t actually equate to a reduction in game sales. You can read a full summary of the report (and, in fact, the whole thing, if you fancy wading through legal jargon for a few days) right here.